This movie was hilarious and I like the variety of scenes. 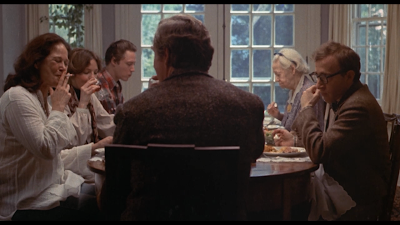 One of my favorite used effects is when a character breaks the fourth wall or immerses him/herself in a memory. 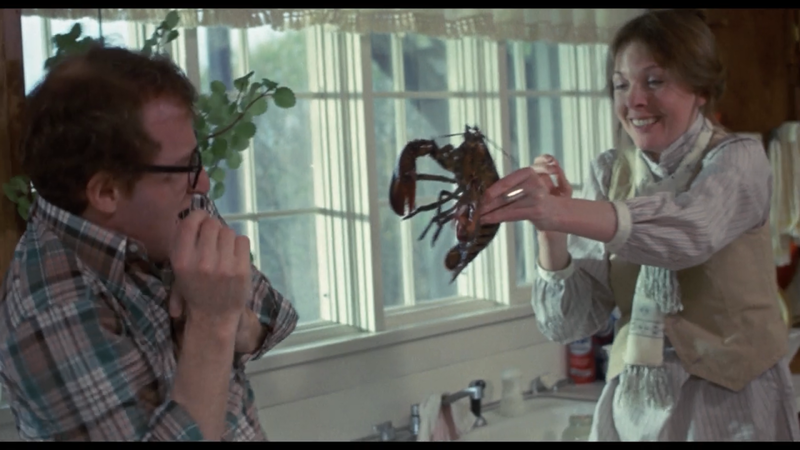 This is the first Woody Allen movie I've seen and it's great. 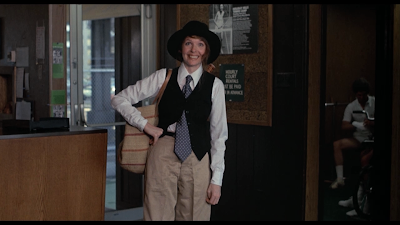 Diane Keaton is great and the relationship between the characters Annie Hall and Alvy Singer is great too. 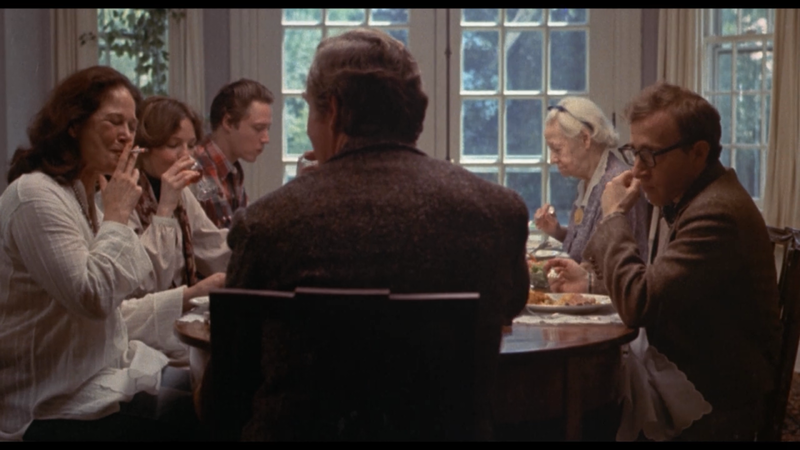 A younger Christopher Walken (34 years old) is in this movie. 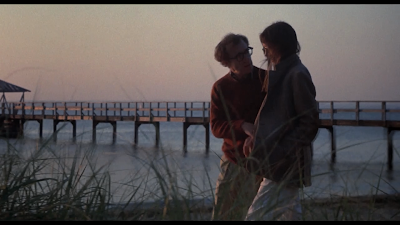 Alvy: You want a lift? Annie: Oh, why? Uh, you got a car? Alvy: No, I was going to take a cab. Annie: Oh, no. I have a car. 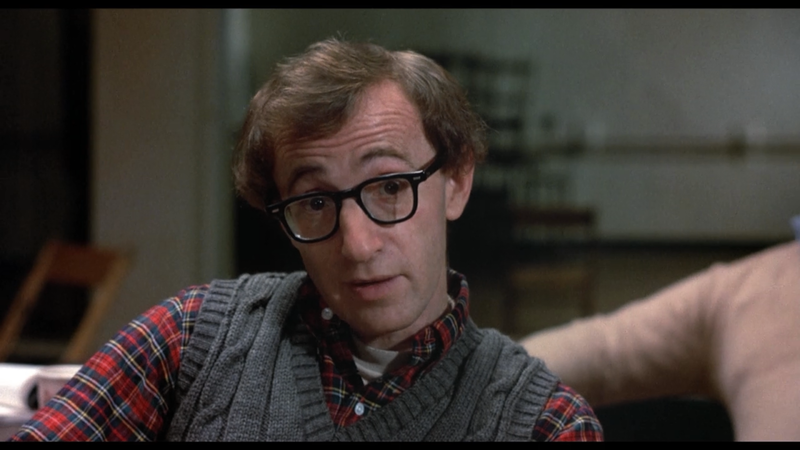 Alvy: You have a car? I don't understand. If you have a car, so then why did you say, 'Do you have a car?' like you wanted a lift? Alvy: Sure. Which way you goin'? 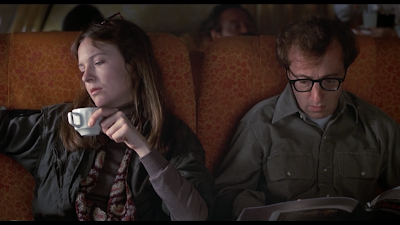 Alvy: Down ... I'm going uptown. Annie: Oh well, you know I'm going uptown too. Overall, its a great, funny movie. Its not the typical sort of happy ending, but its happy. It's surprising to me that this is only the second time I've seen this movie. In any case, I'm definitely glad I saw it again today. In particular, I felt as if I connected with it more today, from a thematic point of view (five years is a long time, lots of room for change and perspective). "I heard Commentary and Dissent had merged and formed Dysentery." "We use a large vibrating egg." "I'm very shallow and empty and I have no ideas and nothing interesting to say." "And I'm exactly the same way." 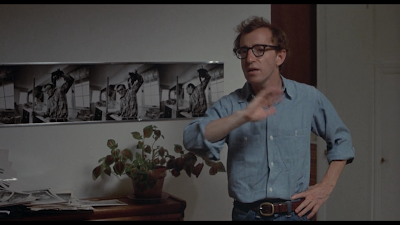 At around 57 min, you can see pictures of Alvy holding the lobster on the wall behind him (in Annie's apartment).